Powder vs. Liquid Foundation, Which Should You Wear? Once you know the difference, it'll be much easier to find a foundation that works best for you. Most people are aware that there are different types of foundation, but they might not be aware of the specific benefits that different foundations can deliver. 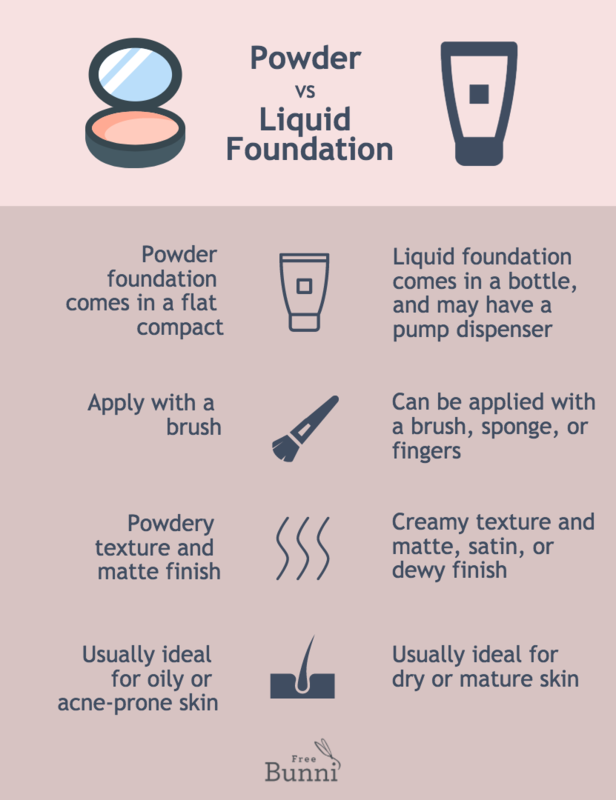 Keep reading to discover the benefits of powder vs. liquid foundation, and to find out which type of makeup might be right for you. Powder foundation generally comes in a flat compact, and is applied to the face using a makeup brush. 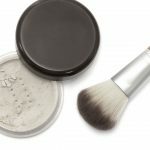 Mineral powders are loose, and are applied to a makeup brush by dipping the brush into the powder. Meanwhile, pressed powders are compacted to form a smooth surface. Simply stroke your makeup brush across this surface to pick up the makeup with your brush. We recommend using a kabuki brush (or another wide, flat brush) to apply either type of powder foundation. Just pick up the desired amount of product on your brush, and gently stroke and blend it into your skin. Who should use powder foundation? Powder foundation is a good option for people with oily skin or acne-prone skin. The dry powder will help to blot excess oil to achieve the perfect, matte finish. Powder foundation is also less likely to clog your pores. Want the ultimate flawless complexion? Start off with a mattifying primer for a smooth canvas, and make applying your powder foundation a whole lot easier! Natural powder foundation generally contains ingredients like mica and pearl powder to create a powdery texture that blends into the skin. 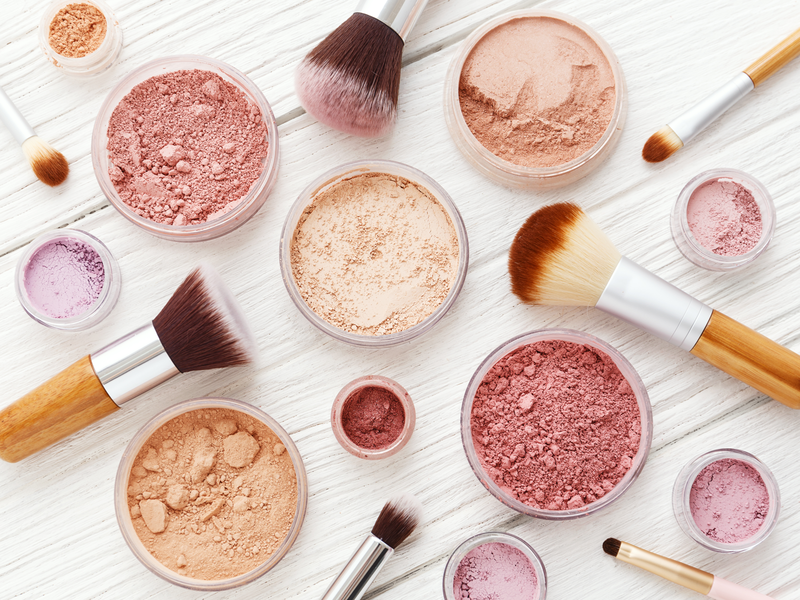 The best natural foundations are colored with minerals or natural pigments, instead of synthetic dyes derived from petroleum, and are talc-free. You can achieve light to medium coverage with this buildable, long-lasting powder product, which has an SPF rating of 15. It features aloe to moisturize and soothe the skin without clogging pores, pearl powder to provide a soft luster, and marine algae extract to brighten and clarify the skin. This product comes in a range of 17 shades to suit a wide skin tone spectrum. It’s excellent when it comes to oil absorption, making it a great option for anyone prone to oily skin. It can also help to soothe irritation and fight acne using rosehip oil, evening primrose oil, and aloe leaf extract. This pressed powder foundation provides medium coverage, and blurs blemishes to achieve a smooth, matte finish, making it ideal for oily skin. It contains goji berry, acai, elderberry, and mangosteen, a combination of antioxidant-packed ingredients that will actively fight blemishes and wrinkles while the makeup does its work. Liquid foundation comes in a liquid form, and is usually packaged in a bottle with a pump dispenser. Liquid foundations can be applied using a makeup brush, a makeup sponge, or clean fingers. Just start with your desired amount of product, and blend it gently into your skin with dabbing, sweeping, and circular motions. Liquid products are a strong option for dry skin, as they often have moisturizing properties. They’re also a good option for mature skin, as they will glide evenly over your face, and won’t settle into fine lines and wrinkles. When shopping for a liquid foundation, look for an option that uses natural plant oils as its base, and minerals or fruit pigments for color. Who should use liquid foundation? 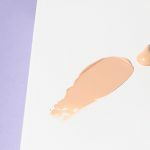 There’s a wide range of liquid foundation products out there—from BB cream to treat and disguise blemishes, to CC cream for color correction, to full coverage cream foundations. Keep reading to discover some of our favorites for flawless skin. 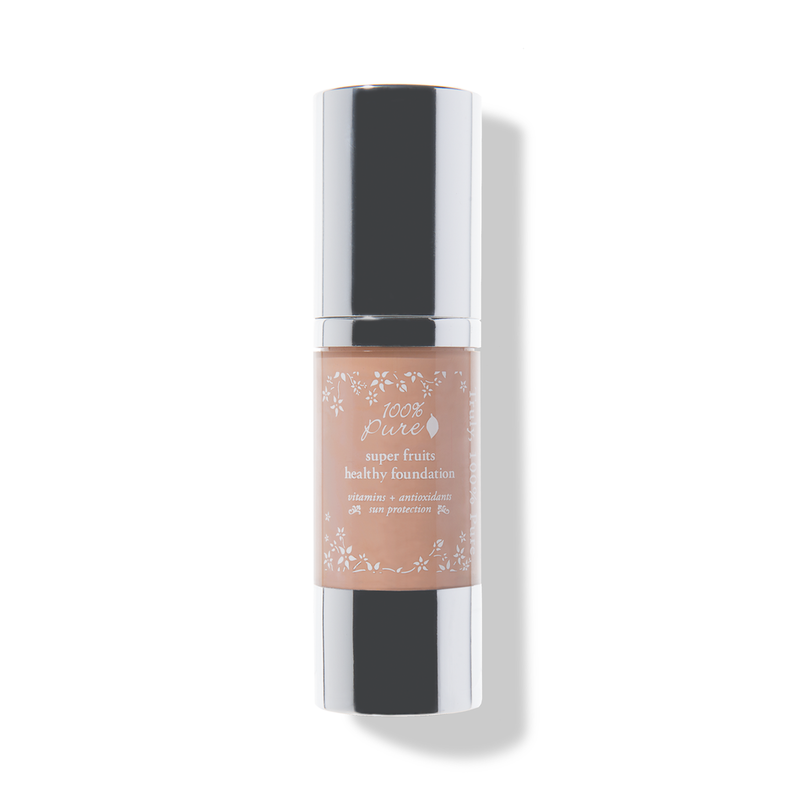 This liquid foundation provides medium to full coverage with a seamless, dewy finish. It also contains healthy ingredients like silica and castor seed oil to support skin. This foundation goes beyond coverage alone, and graces the skin with a healthy-looking, satin finish. This light to medium coverage foundation is safe for all skin types, and will help to plump your skin with green tea and rooibos while it corrects color and blurs away imperfections. It also contains soothing ingredients like aloe and chamomile to soothe dry, irritated skin. This product provides full coverage, and uses natural rice powder to absorb excess oil, creating the perfect matte finish. It’s packed with antioxidant-rich ingredients like rose petal and cranberry to help rejuvenate scarred, blemished, and aging skin. It also features eucalyptus to fight acne, making it the perfect option for many different skin types. 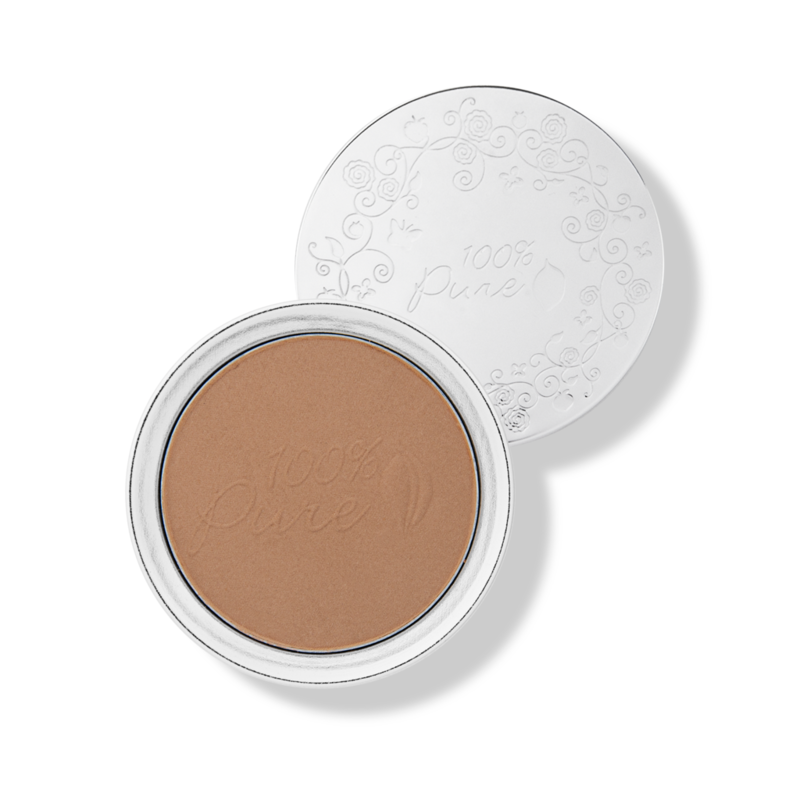 To sum it up, the matte finish of a powder foundation is generally ideal for people with acne-prone or oily skin. On the other hand, people with dry or aging skin will want to seek a liquid foundation for smoother application. But with the amount of natural formulas increasing on the market that feature skin-healthy ingredients, it’s possible to find more foundations now that are compatible with any skin type. We suggest trying out different ones in-store, and look for samples online! 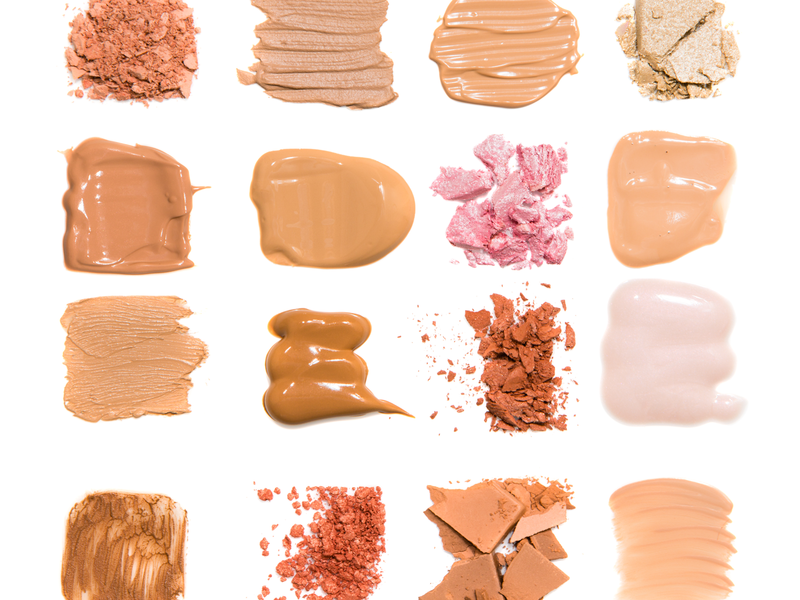 If you’re hungry for more information about the different kinds of face coverage makeup out there, you can get your fix on our guide to the Best Natural Foundations for Every Skin Type. To get the best results from any foundation, you should always start your makeup routine with a moisturizer and primer to keep your skin hydrated and protected. Find the best moisturizer for your skin in our guide to the 10 Best Natural Face Moisturizers for Every Skin Type. Posted in MakeupcommentLeave a Comment on Powder vs. Liquid Foundation, Which Should You Wear?